Certificates of Recognition were sent to 435 companies by the Sanitation Districts of Los Angeles County for being “good corporate citizens” for the year 2006. These companies were consistent in their compliance with all their industrial wastewater discharge requirements in 2006. They met their limits for wastewater discharge, they were free from any notices of violation, they maintained their environmental equipment and they fulfilled their permit requirements. Virco, one of the companies to receive the certificate, is a manufacturer of quality educational furniture products and has one of its two warehouses located in Torrance, CA. Worthington Direct proudly carries all of their products at low wholesale prices. Visit www.WorthingtonDirect.com today and browse by manufacturer, Virco. 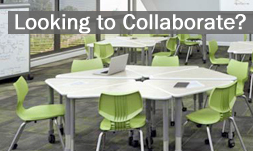 Worthington Direct carries a variety of their products, ranging from Classroom Stack Chairs to Mobile Cafeteria Tables. Mr. Maguin announced the certificate awardees at the meetings of the Boards of Directors of the Sanitation Districts of Los Angeles County. “We hope this will become an award that is sought after by industry and recognized by the public,” notes Sam Bell, Vice President of Metal Surfaces, Inc., of Bell Gardens and chair of the Industry Advisory Council. “It provides further incentive for companies to meet Districts’ limits and regulations. The Sanitation Districts have always worked closely with industry, and recognizing industry for conscientious compliance is a further step to encourage companies to comply with regulations and protect the environment.” Paul Martyn, head of the Sanitation Districts’ Industrial Waste Section, adds that the monitoring, inspection and compliance records of these facilities were carefully checked to verify that every requirement was met during the year. The idea for the Certificates of Recognition originated with the Sanitation Districts’ Industry Advisory Council, an advisory group of 18 representatives from different industrial sectors. The Council and the Sanitation Districts felt it was important that industries with good compliance records be recognized.